Second Intifada Gaza images. Sample images of Gaza the culture and people for news and publications. 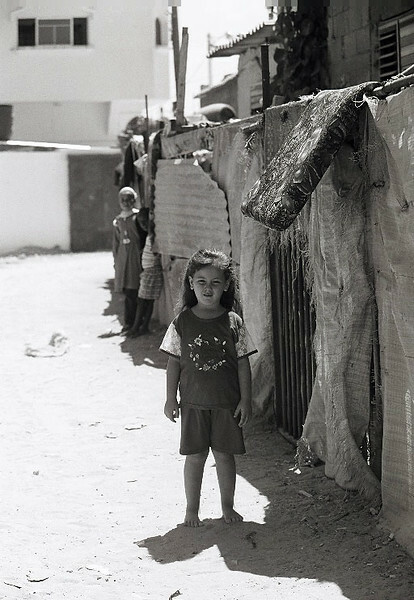 young girl standing outside of her makeshift home in Rafah, Gaza Strip.